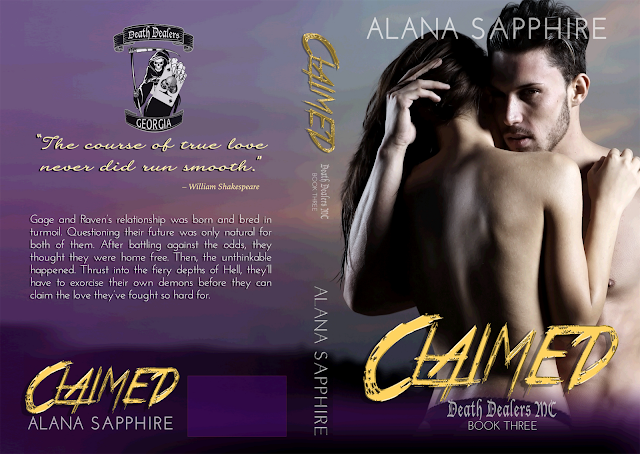 Claimed is book 3 in the Death Dealers MC series and is the conclusion of Gage and Raven's story. Books 1 and 2 - Forbidden and Tempted, must be read first. If you read Tempted, then you know what happened at the end. 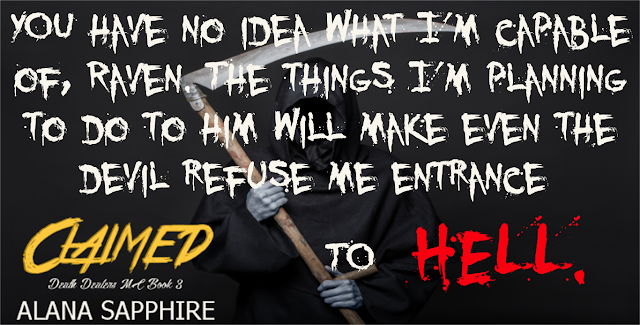 How will Gage/Reaper handle it?